Canterbury’s Goods Shed joins KGHBF! Hops are exciting – especially the more you learn about them. Green hops – used fresh from the bine seem to inspire even more excitement. As demonstrated by the most recent addition to the Kent Green Hop Beer family – Canterbury’s Goods Shed. 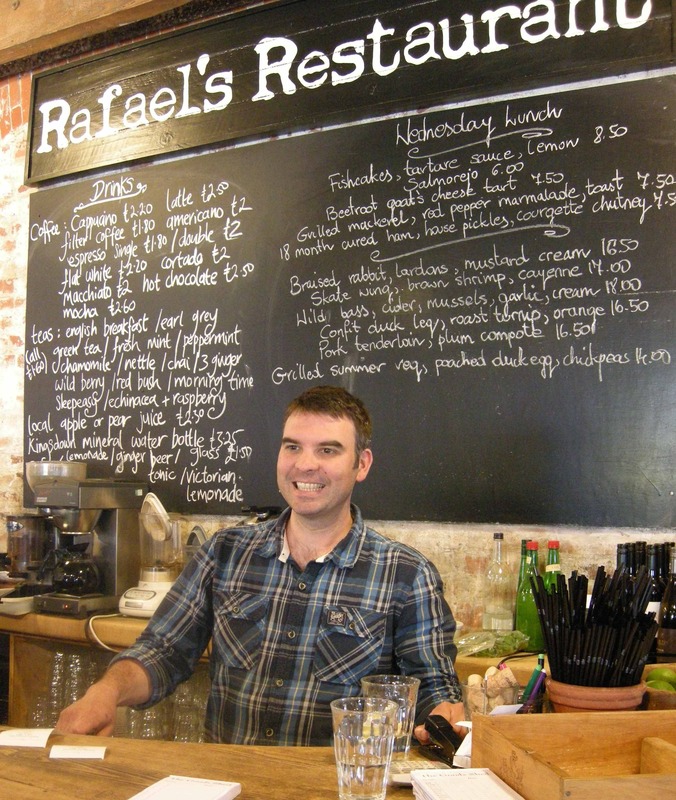 The Goods Shed is much more than a farmer’s market. It is home to bars, cafes and a restaurant too – nearly all of whom gave their support to KGHBF Publicity HQ in enabling us to hold a VIP preview of The Fortnight. How did they do this? They prepared, cooked and created many, many dishes using Kent Green Hop Beer or in some cases the hops themselves. From beer brined meats, to beer breads, Kent Green Hop Beer apple cake, faggots in beer gravy, Kent Green Hop Beer battered plaice, beery potato dumplings and even a Kent Green Hop lemonade – producers and stall holders from the Goods Shed embraced the ultimate seasonal beer wholeheartedly. And it’s not just VIPs who get to partake of these delights. Get yourself to the Goods Shed asap today (date of this news post) and during KGHBF launch weekend (26 – 28th Sept) and you’ll have the chance to enjoy some of the beery foods created for our Preview Event. 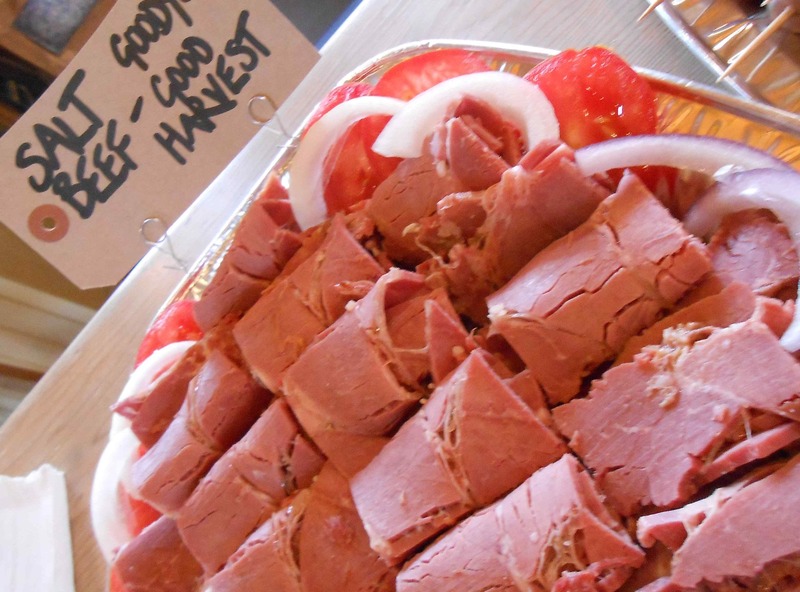 Look out especially for beer brined salt beef – from the butchers and at the sandwich stall. It features Goody’s Good Harvest ale – which shows off the beer flavours very well. The same beer also features in a dish of beer braised ox cheek served with those beery potato dumplings at Rafael’s Restaurant. (Kent Green Hop Beer battered plaice may also still be available – ask restaurant staff). Chef, Rafael, created a four course meal cooked with Kent Green Hop Beer and some dishes from it are on the menu this week. Kent Green Hop Beer is also available to drink (or take home) at The Goods Shed. In cask for a very limited time – but also in bottles from Murray’s General Store. So raise a glass of Kent Green Hop Beer to (and at!) the Goods Shed, Canterbury – who we consider part of the KGHB family. A variety of Kent Green Hop Beer related produce is available from The Goods Shed for a limited time. Be sure to ask stallholders what’s available as they have the most up to date information.